The next Abril 20 the visitors of The 15th edition of the Sculpture Objects & Functional Art Fair , SOFA NEW YORK, “will be drawn to a thrilling collection of masterworks representing the gamut of contemporary art and design from around the world”. This is how the SOFA NY describe the actitude of the people who are going to visit the fair this year and how magnific will be the selection of artworks selected for this 15th fair’s edition. Forty-four Galleries from Italy, Belgium, Argentina, Israel, Japan, United Kingdom, USA and Canada, will be showing the masterpieces of artist from all around the world during four days, having time for interesting lectures and meetings with some artists. If I were there I would love to attend to “SOFA After Dark” with the Guggenheim Museum and Museum of Arts and Design, wich promises to be one of the interesting events during those days. 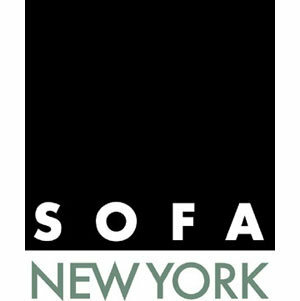 Some of my works has travelled to New York once again… this time to be at SOFA among other great artists artworks. Represented by Charon Kransen Arts. An special Opening Night Preview Gala will be held on Thursday evening, April 19, 2012 at the Park Avenue Armory. Tags: Jewellery Art Exhibition, New York, SOFA 2012.